In July 1994 Inchcape London acquired the licence to bottle Coca-Cola products in the Volga region of Russia. On the Volga river, plants would be established at Nizhny-Novgorod in the North and Samara to the East. In the South the existing Volgograd plant would be upgraded. Additionally the existing Coke plant at Yekaterinburg (Ekaterinburg) located in the Urals would be upgraded. Nizhny-Novgorod and Samara would both be ‘brown field’ sites to achieve production as early as possible. After a period of rigorous negotiation Enterprise Tondelli were favoured with the contracts for the supply of turnkey bottling solutions for the Nizhny-Novgorod and Samara plants. In addition contracts for supplying the complete ancillary services plant to the Yekaterinburg plant and a line re-design and part supply the at Volgograd plant were won. Enterprise would be responsible for the complete process from design, through installation and commissioning to final hand-over. In order to increase penetration into the Russian market as quickly as possible and to establish a strong market presence over their competitors it was decided that the plants were to be built on the ‘Fast Track’ principle. This required very close co-operation between the project and construction teams of Enterprise, Inchcape and the various civil engineering companies. Enterprise Tondelli provided project management and held regular project meetings on site with suppliers, contractors and local authorities in order to monitor and direct build progress and to satisfy local authority requirements. The master project schedule was maintained by Enterprise and incorporated both civil and engineering tasks. This was of particular importance for these projects due to complex interface between the concurrent civil and engineering activity. Similar services equipment was supplied at the Yekaterinburg plant. However, at this plant Enterprise supplied 3no. gas fired steam boilers. An important consideration for the supply to all plants was conformity to the Russian GOST standards. Strenuous efforts were made by the two project teams (Enterprise Tondelli and Coca-Cola Inchcape) to ensure that GOST certification was achieved and correct to allow trouble free importation. In addition Enterprise assisted in the production of an environmental impact study for each plant. These were required by the local Russian authorities and as part of due diligence shown by a Coca-Cola bottler. The completion of these projects on time is a credit to all involved and has enabled Coca-Cola Inchcape Bottlers to achieve its goal in this region. 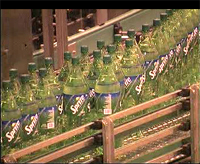 Enterprise Tondelli are specialist providers of bottling, canning and packaging solutions. They have worked for a number of the largest beverage producers in the world and are continually growing their customer base. 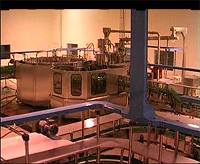 The Enterprise portfolio also includes machinery solutions for bottling and packaging plants for beer, cider, wine, water, chemicals, pharmaceuticals and foods. All projects are handled from initial design and tender through to commissioning, acceptance trials and hand-over. 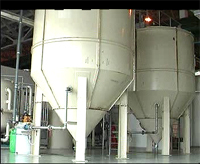 The scope of Enterprise Tondelli supply is from a single machine inclusion to a complete large scale turnkey project.